Is your bike ready for spring? Today, bikes can be equipped with customized accessories that compliment your personality, riding style and bike color. Explore our selection of bike accessories and add style to your ride. Now that we have safety covered, let’s talk about road style. We are very excited about Electra’s 2017 accessories line in both feature and color. Think outside the box with a new handlebar cup holder or add fun to your bike with a taco-focused ringer bell. This summer is sure to be a show stopper – stop by your local SCHEELS to see our full selection of accessories! 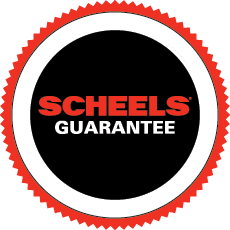 At SCHEELS, we stand by safety and can help find and fit the right helmet for you and your loved ones. Want to know more about styles and fitting? Read the U.S. government approved report and guide to stay knowledgeable for this year’s riding standards. Helmets are a great way to showcase your personality and style. With the right helmet and correct fit, your whole family can enjoy roads and trails safely.